Second day in a multi-day chase trip with Extreme Chase Tours. Dryline/Warm front setup across western Oklahoma. 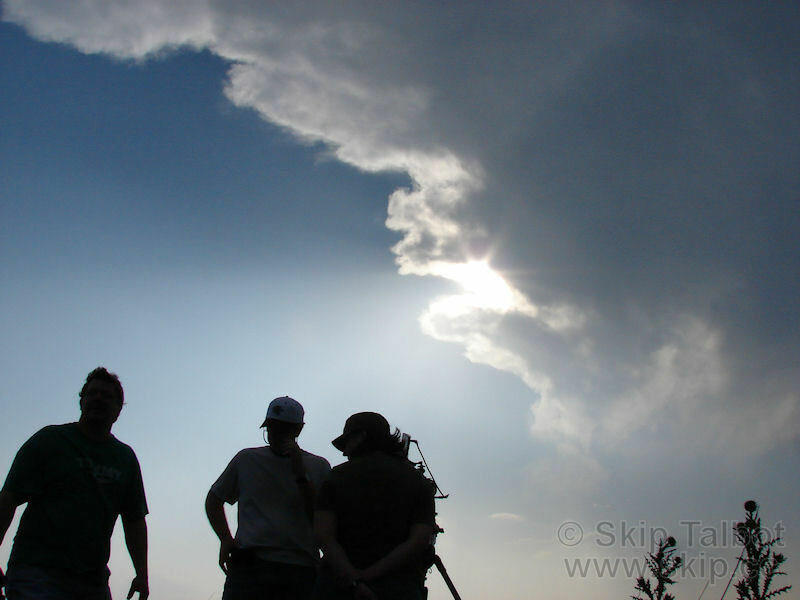 Initially targeted dryline south of I-40 and intercepted towering cumulus near Cordell, OK by mid afternoon. Tower died leaving orphan anvil so followed other convection as it drifted north. 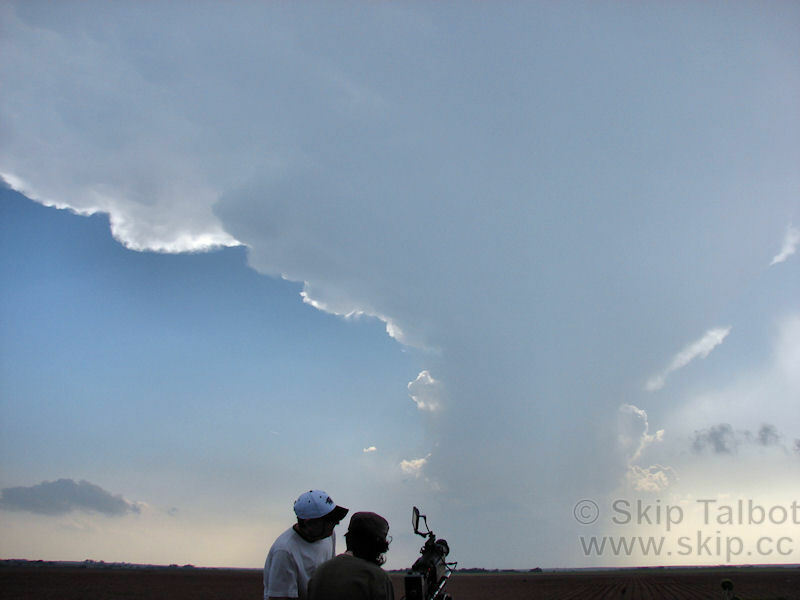 Near sunset intercepted tornado warned LP supercell near Woodward as it cross warm front. 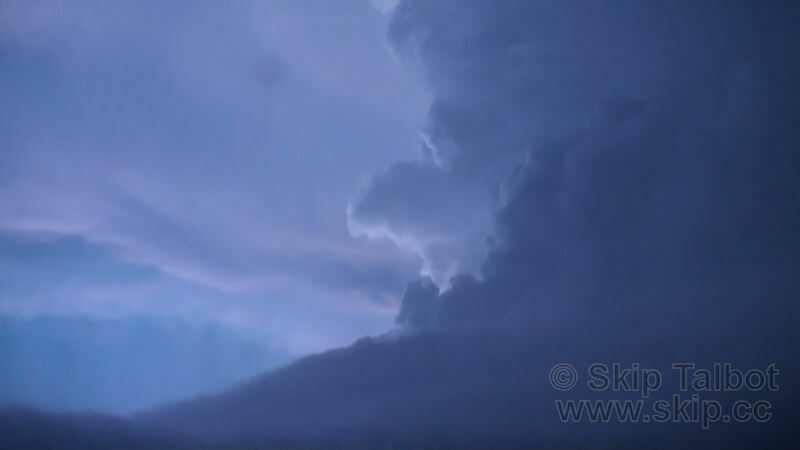 Noted gorgeous updraft tower and RFB, but no tornado. Called it a chase as darkness set it and returned to hotel room in Stillwater. 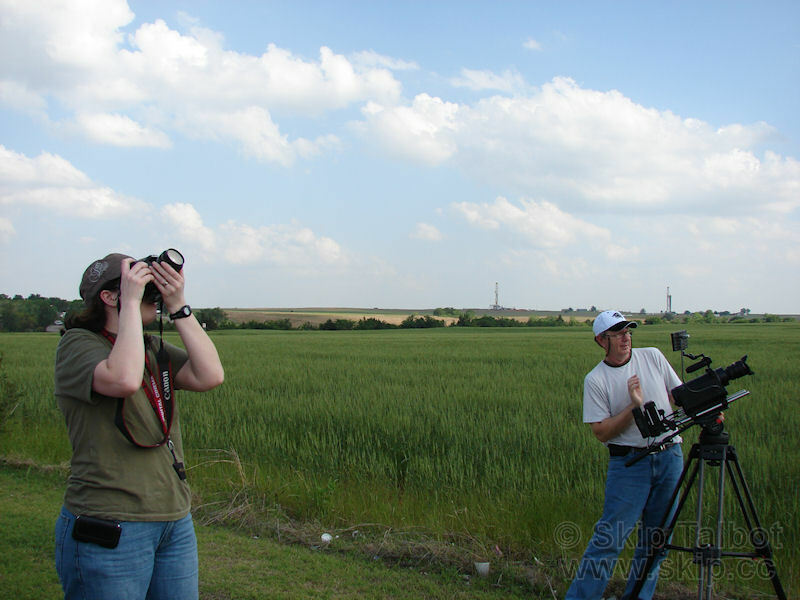 Chase team included Extreme Chase Tours. Equipment: Kenwood TH-F6A Tribander, Dell Inspiron Laptop. Kyocera data card and router, Holux 236 GPS, Robotic camera dome with Sony XR-520V. This was my second day driving as support for Extreme Chase Tours. Tuesday's setup lacked the ridiculous amounts of shear the day before had so a widespread tornado outbreak was not expected, but there was still sufficient lift and shear for isolated supercells and possible tornadoes in western Oklahoma. Storm speeds would be much more manageable than they were the day before as well. Based on Jill's recommendations we targeted the Clinton, OK area for mid afternoon initiation. We left our hotel in Stillwater at about noon and made it down to Clinton by mid afternoon. 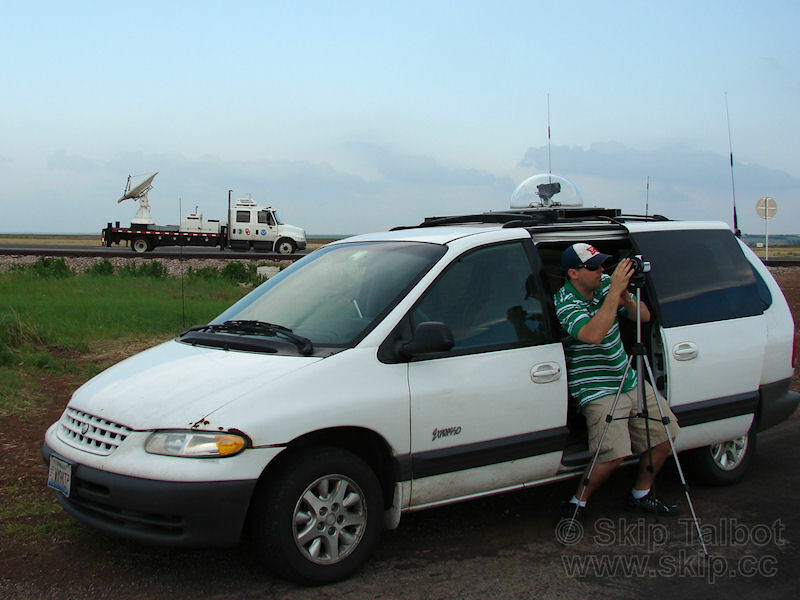 We were passed by Reed Timmer in the Dominator and his caravan along the way, so we knew we'd probably be running into a bit of a chaser convergence. 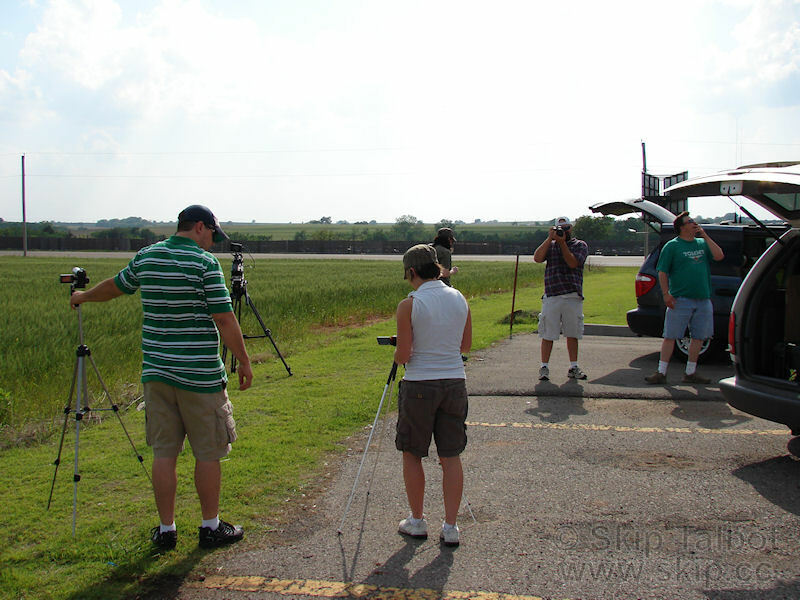 We pulled off at a gas station south of 40 to wait for initiation. A storm went up just to our south and we drove through Cordell and pulled off south of town to let the storm strengthen and come to us. While driving through town we saw that the entire Vortex 2 armada had converged on the same location as well as Sean Casey's crew. It looked like a circus at one gas station we passed as media, and onlookers were crowded around Casey's armored vehicle. Some cumulus towers to our north remained, and with no other target, we decided to follow them as they drifted north.By evening we wound up southeast of Woodward. As better lift arrived and the storms approached the warm front in northern Oklahoma, they started to take off. 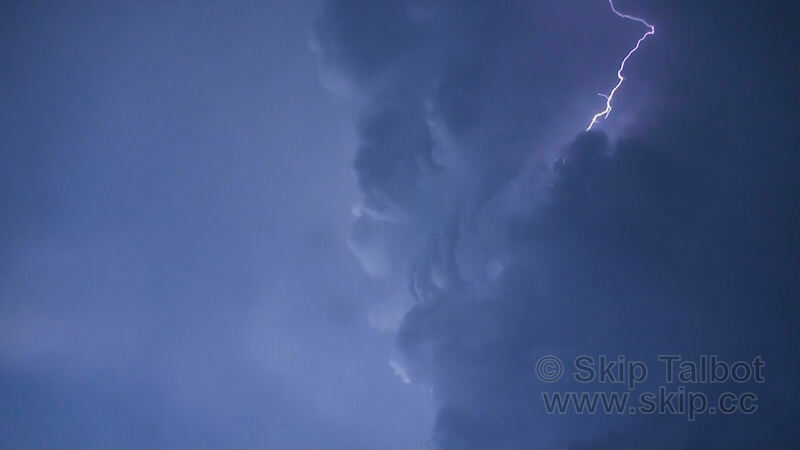 The middle cell in a cluster of three became dominant and went tornado warned. We were in the perfect position to intercepted. Lanny held us short, however, worried that we would wind up core punching the cell, or that it would be too rain wrapped to see anything as it cross the warm front. We spent several minutes on the side of the road as Lanny paced around outside and I rocked anxiously in my seat and pleaded to make a move. 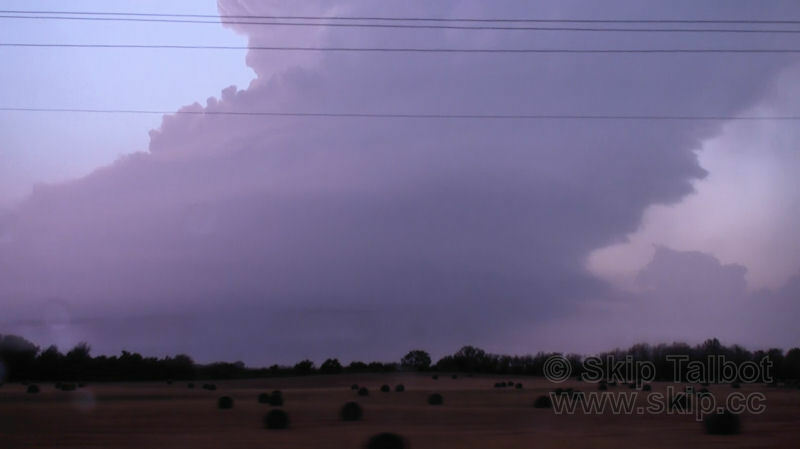 Finally we headed west for the intercept and a gorgeous low precipitation supercell updraft tower came into view, lit up pink by the setting sun. We had a good view of the rain free base in the last few minutes of light left, but the storm did not produce. We had to give it up when the light got to low as the storm would be useless to Phil and Annette without enough light for them to shoot video. Still tornado warned and heading for Woodward, OK, we abandoned the storm at nightfall and headed back to our hotel room in Stillwater. 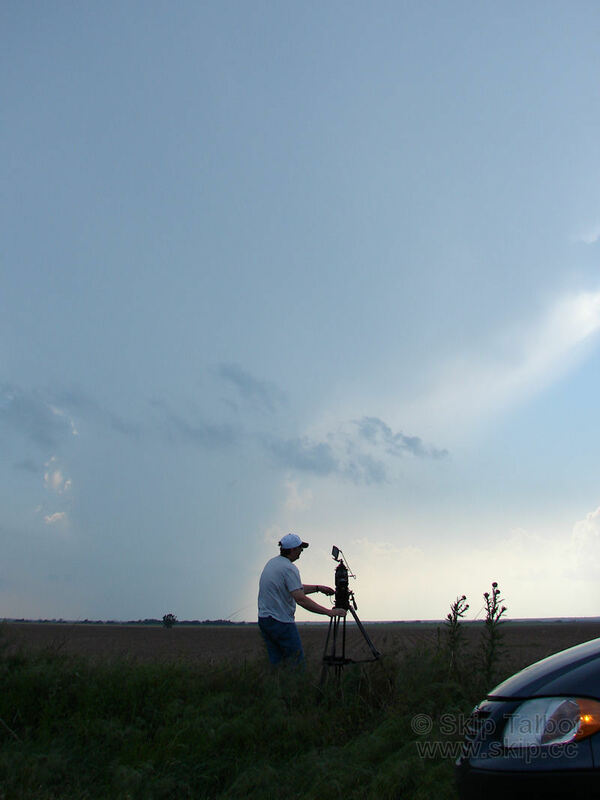 The second day of the chase tour went better than the first, with well placed intercepts on two different storms and some photogenic structure. Neither of them produced, however. There was a report of a funnel on the cell south of Woodward. I'm not sure if it was a legitimate report, but if it was, we missed it while sitting on the side of the road debating whether or not to intercept the storm.